For a crab lover like me, soft shell crab is a complete god sent luxury. As much as I love to devour a bowl of Singaporean Chili Crab every now and then; whacking my way through the hard shells with the consequence of launching a missile attack of shell bits flying all over the place; and having to apologise profusely to the diners around me is not however, enjoyable. These little gems, not only do I get to to taste the sweet juicy flesh of the crustacean, but I can now do it gracefully, fully aware that my hand will remains absolutely clean. There might not be a finger's licking opportunity but sometimes, I am willing to forgo a tiny bit of culinary treats for a spot of elegant refinement. 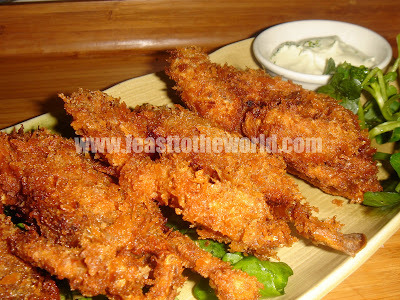 I have served this crispy delights with a choice of two delicious dips inspired by cuisines from India and Japan. I think they are both just perfect for the dish. The curry and lime dip provides a spicy, aromatic kick while the Yuzu and wasabi has a more subtle and fresh flavour, but go easy on the wasabi, as like English mustard, they do pack a heavy punch and you will soon find yourself in tears otherwise. Both of these ingredient can be found in a Japanese supermarket or good chinese supermarket. However, you can easily substitue them with English mustard powder and tangerine or mandarin, although the flavours will be slightly altered. To prepare the dips. 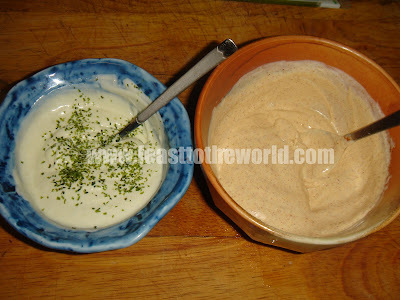 Combine all the ingredients for the curry dip together in a small bowl and stir well to mix. Season to taste and top with a light sprinkle of the cayenne pepper to finish. Next, combine all the ingredients (except for aonori) for the yuzu dip in a small bowl, mix well and season to taste. Finish off with a sprinkle of the aonori and set both dips aside to allow the flavours to develop. 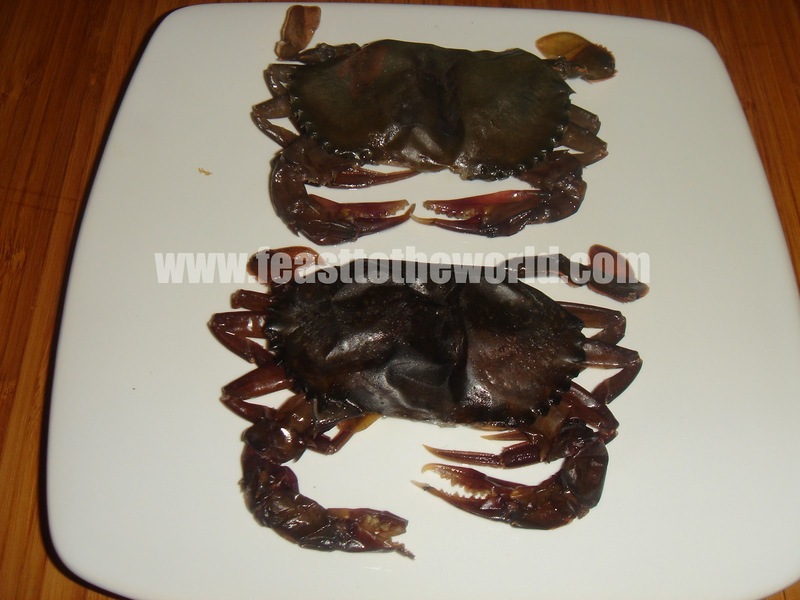 If using fresh soft shell crabs, you need to clean and prepare them first. Hold the crab in one hand and snip off the front of the face, about 5 mm behind the eyes to remove the eyes and the mouth. Push you finger into the opening you've just made and hook out the stomach, a small sac located directly behind the cut. Turn the crab over and pull off the little tail flap. Turn it back over and lift up the sides of the soft top shell and pull out the dead men's fingers, or gills. Rinse well and pat dry. They are now ready to cook. Lay out 3 bowls. 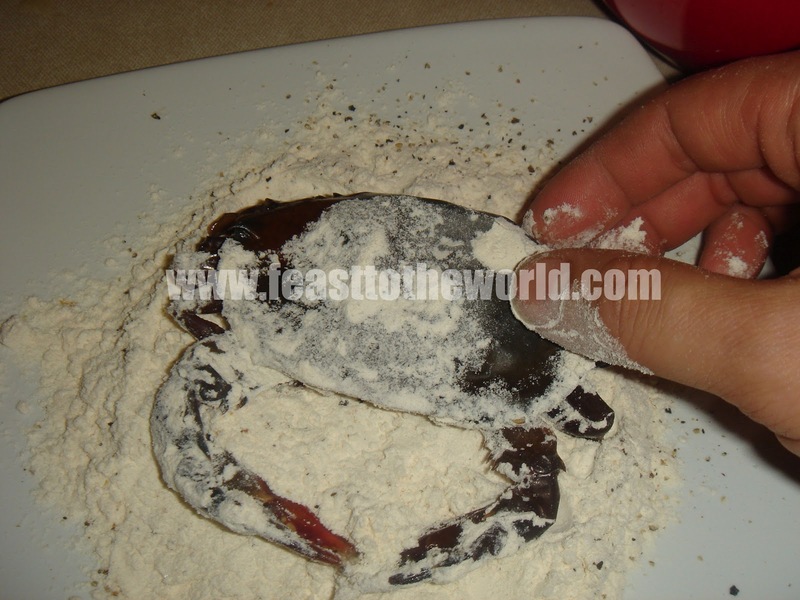 In one, mix the flour with salt and pepper. In the second, lightly whisk the egg. Put the Japanese panko or breadcrumbs in the third. Dredge each crab in the seasoned flour, then dip into the beaten eggs and then roll in the brad crumbs to coat. Place on a clean plate and set aside. Heat up some oil in a deep frying pan. 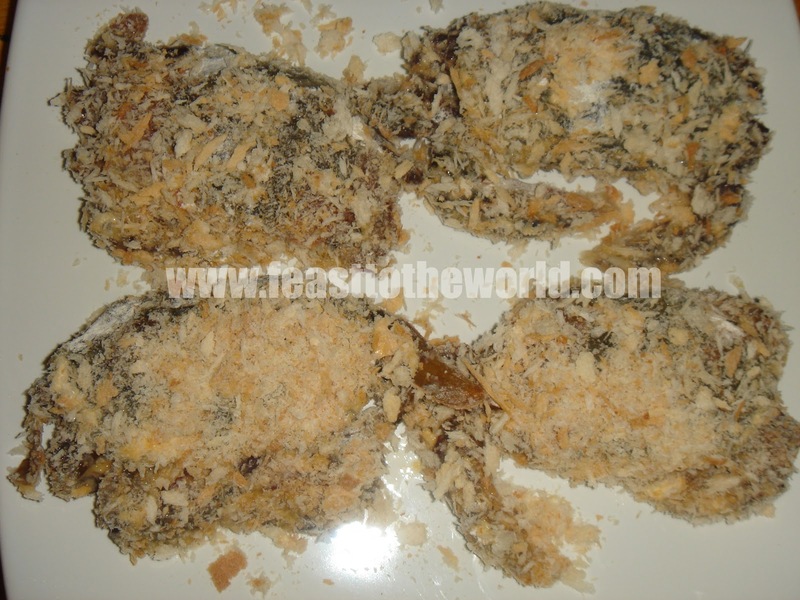 The oil is ready when a piece of breadcrumb dropped in sizzles gently. 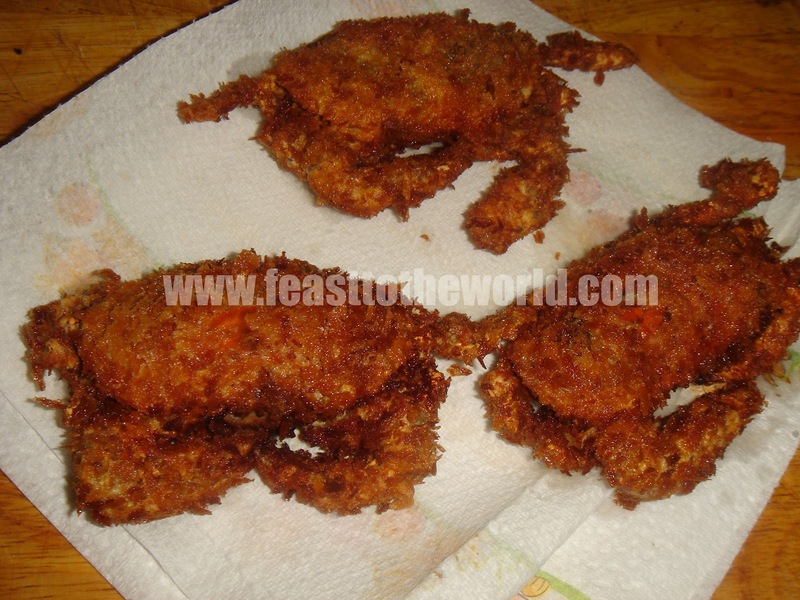 Deep fry the crabs for 2-3 minutes, until crisp and golden brown on both sides. Remove and drain on some kitchen paper towel. To serve, lightly dressed the watercress or rocket in the olive oil and pile a portion onto a plate. 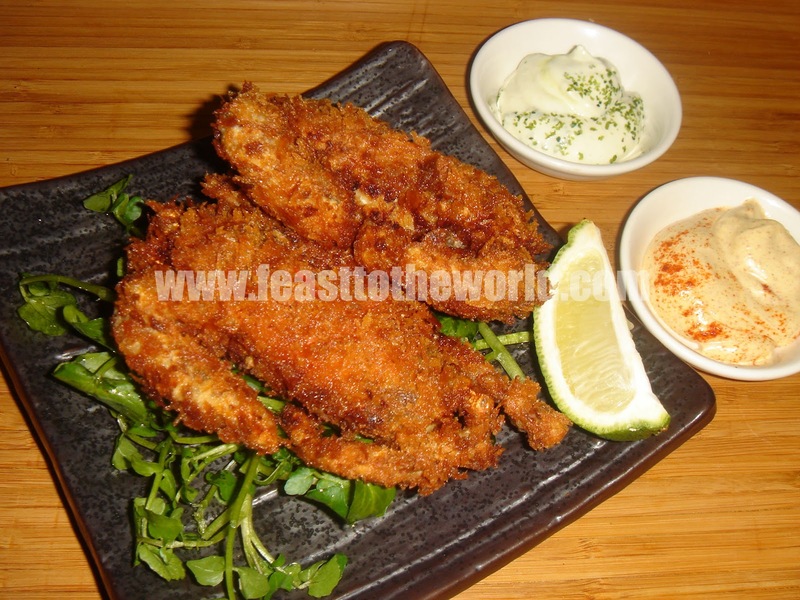 Top with 2 of the crispy soft shell crabs and a lime wedge, along with the dips on the side.